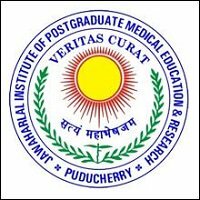 JIPMER Puducherry Jobs Recruitment Notification 2018.Jawaharlal Institute of Postgraduate Medical Education and Research (JIPMER) Puducherry inviting applications for the positions of Group B and Group C posts.Interested and Eligible candidates can apply for the positions. Applicants must be completed post graduation and medical education from the recognized organization. Through written test and interview applicants must be recruited. Applicants may apply the application form through online from 28th August 2018 to 24th September 2018.